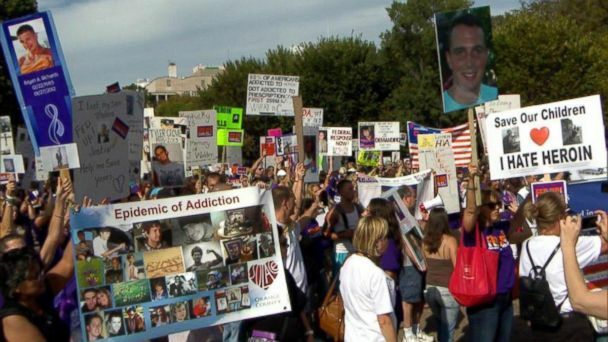 A gathering of several hundred people converged outside the White House in late September, to bring awareness of prescription and illicit opiate drug abuse, to impress upon the President to tighten restrictions, and to take action against the current head of the FDA, ABC reports. Protesters critcized the FDA for approving a new and powerful painkiller, Zohydro, last fall. Representatives of Simi Valley’s own Not One More coalition participated in the protest and spoke to reporters. Prescription drug abuse and heroin use has been increasing in Ventura County. Simi Valley has been particularly hard hit.